This discussion is continued in a new topic. You can find it here. This topic was split up because it has reached high page count. You can find the follow-up topic here. Remember when your child came racing in to hand you a bouquet of weeds? Weeds they may be, but they represented a hand full of love, a treasured gift, equal to roses in your heart. Little cards, they made at school, came home to be tucked away in a memory drawer. When you attended their recitals, they would eagerly scan the audience looking for you. Just as we cherished these shared moments with our dear children, the Lord cherishes the moments when we invite Him to join in our activities. We are like the moon; the glory we show is the reflection of the greater life in our lives that does not originate in us but is a blessing to others through us. Look to God for your hope, your strength, your values, your foundation, your security, and your light. Father, I look for you and to you. Be near me as I face challenges and temptations. 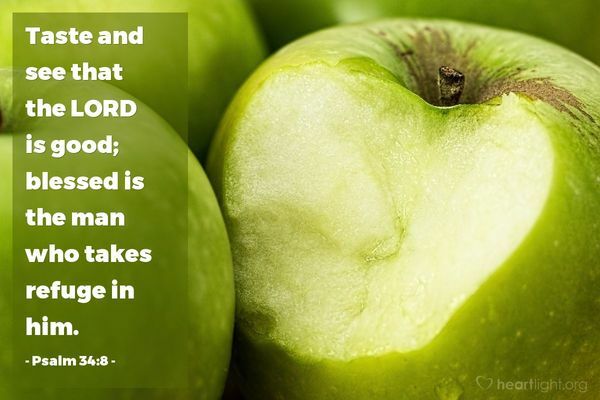 Don't let the evil one bring me shame because of my sin and weakness. Triumph over evil in my life for your glory. In Jesus' name. Amen. When we look to Him, rely on Him, we receive that little nudge that tells us - "Don't go there." Listen to Him, He speaks softly, so listen intently, and follow His advice. In honor of all the victims of Hurricane Harvey, Irma, and Maria, and for the victims of the Las Vegas shooting and in honor of all the first responders I will on November 1, "ALL SAINTS DAY" I will begin once again the third journey through the Psalms of David. The first 59 Psalms I will post starting November 1, will be for the 59 victims of the Las Vegas Massacre. We have been praying for America through a Psalm of David since July 2014, with a couple of breaks in between. We have prayed for ISIS victims, we have prayed for victims of Benghazi and the safety of our Military. All of our prayers have been answered. God is answering all of our prayers, but now I ask that you repost this post, make it spread across the internet as well as here on the OPP. We must give thanks to God, but more importantly we must pray for our fellow Americans. Our culture is changing and I pray that this change will bring us closer to God. The reason that this gunman fired upon fellow citizens is because he lacked the faith in God. This topic, re enforces God our lives as well as prayers from us to all of us, all Americans. Let us now pray for those families who lost love ones. Starting November 1, Praying for America, through The Psalm of David, the third Journey shall begin once again with Psalm 1. I will not start another topic entitled by that, I will use this topic and begin the posting once again. It is necessary for America to join us in the prayers. Please advertise and get the word out. Spread the news. The time to petition God will be for 150 some odd days starting Nov. 1. America needs the prayers. America needs to pray. God is ready to help. God is listening. Lets gain as many people as we can to pray on this site. 59 lives lost at Las Vegas is too many lives. Let us continue to pray for our country. Keep praying. If we pray, we save souls and lives. Let us pray. Dear Lord, my heart jumps for joy - once again we will go through the Psalms and offer prayers to You, our One and Only Holy Triune God. Hallelujah! "Heavenly Father, we ask that You bless our effort, bless our words, and consecrate our hearts to You. Though You answered our prayers to have a leader who believed in America, we see how our Congress and other elements are trying to work against him. There is another election coming in 2018, Dear Father, please be with us. Lead us to vote for the right people. There are at least TEN of us who believe, who need You, who pray to You. You are our Guiding Light, instill the Holy Spirit within us, in Jesus name we ask. Amen"
In the name of Yeshua, Amen. So few hear the cry of the poor or respond to the plight of the disadvantaged. If we are going to be true children of our Father, his values must become our own, his lost sheep must become our quest. 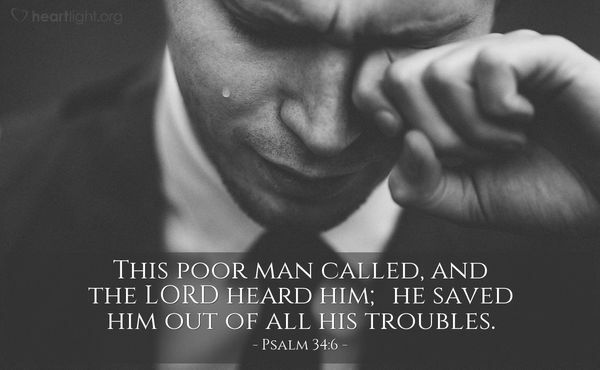 Let's help others around us who are in need find that when they call to God, they are not forgotten. Let's be his delivery system of grace. Gracious and Holy Father, please use me to be a delivery system for your grace. In the name of Jesus, your greatest gift of grace. Amen. Today, I came out later than usual, nevertheless, You were there, waiting for me. Thank You, Lord, Your presence blesses me with an uplifted start to my day. This is Sunday, a day most people go to church. A day to allow your spirit to commune in the presence of other believers. A day to lift each of us up and carry us through the coming week. We ask that You be with us today. Help us, Lord, to look upon each day as a gift. Help us to take advantage of each opportunity to thank You, bless You, and share Your Word with another soul. We never know when a kind word may open the heart of one who is searching. Searching for the security that comes from feeling Your unconditional love. We are sinners, weak, and alone, in the world, unless we ask for forgiveness, and invite You in. May the next few days with your family contain daily Blessings my friend.....have a GREAT time! Help me, dear Father, to know you better. Open my heart, dear Lord, so that I will more fully entrust myself to your care. Open my eyes to see just how gracious you are â not to impress me, but to share in your grace. Thank you for your goodness. In Jesus' name. Amen.